Collaboration: A group of people who explore their ideas together, often to find a solution or to achieve a goal. In other words, teamwork. Distraction: Something (or a colleague) that prevents you from concentrating on your work or a specific task. Above are two different words with two different meanings, yet within a workplace environment they’re being blended together, resulting in some believing that collaboration is overrated. 1. Improves communication, sharing and relationships. 2. Increases creativity and ‘outside the box’ thinking. 3. Speeds up operations and efficiency of tasks. 4. Strengthens teamwork behaviour and positivity. Some have opposing views, believing that collaboration slows down productivity and burns out the top employees. If managed correctly, this will not happen. It’s down to more senior roles in the business to organise their team to avoid extra weight, assign the workload to the right employees and make sure that time is used effectively. All of the above is easy to say, but much more complicated to put into practice, especially for a company that’s across separate time zones. In order to remain efficient, early morning calls or late evening meetings might be a regular occurrence, but that doesn’t have to mean being chained to your desk until the early hours. The rise in remote working and improved connectivity means collaboration can work its magic, and video meetings or calls can happen anywhere at any time. By migrating to the cloud, employees will have access to share and collaborate content – while maintaining high levels of control, privacy and security. Win-win for everyone. Within the past ten years, there has been a major, futuristic shift in office design to incorporate collaboration. This trend is being driven by entrepreneurs who want maximum creativity and flexibility in their workplace environment. 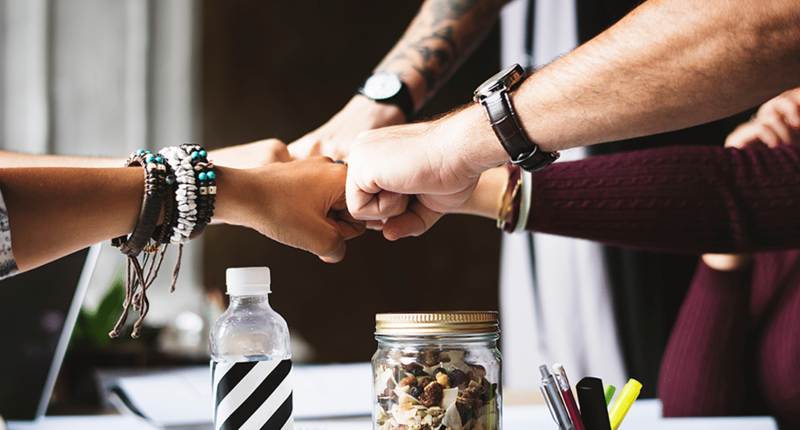 They, along with more and more every year are realising that collaboration and distraction are two very different words – however, only one is needed in the business world.